Refurbished is a word people often try to avoid in their buying list. But when it comes to Osaki, the company has always made it sure that the product is just as good as new. The care for refurbished massage chairs is taken so seriously, that if the scrapes or scuffs on the upholstery seems more than minor to the user, it is readily changed by them free of cost. The Osaki OS-4000 is one in a all massage chair with massage modes including kneading, rolling, shiatsu, tapping, clapping and Swedish with five levels of speed, intensity and three kinds of width adjustability. The Osaki-3000 is said to be one of the most sold products and Osaki-4000 is the next up gradation to it with added arm massage, seat vibration massage, neck and shoulder massage as well as heat therapy for your back. It has twin rollers to mimic the feel of human thumb pressure thus bringing the massage experience very close to a human massage. The chair has 46 inbuilt air bags around the neck, shoulder, back, hips, legs, arms and even palms to give a complete massage experience as full body massage should be. The Osaki-4000 massage chair features a zero gravity design with S-track movable intelligent massage robot, which specialises in the focus on the neck, shoulders and lumbar massage adjustable according to the body curve. The airbags installed have five power modes to operate and three width options to get different kinds of pressures and massage types as you like. The manual control gives a better accessibility option on particular points. 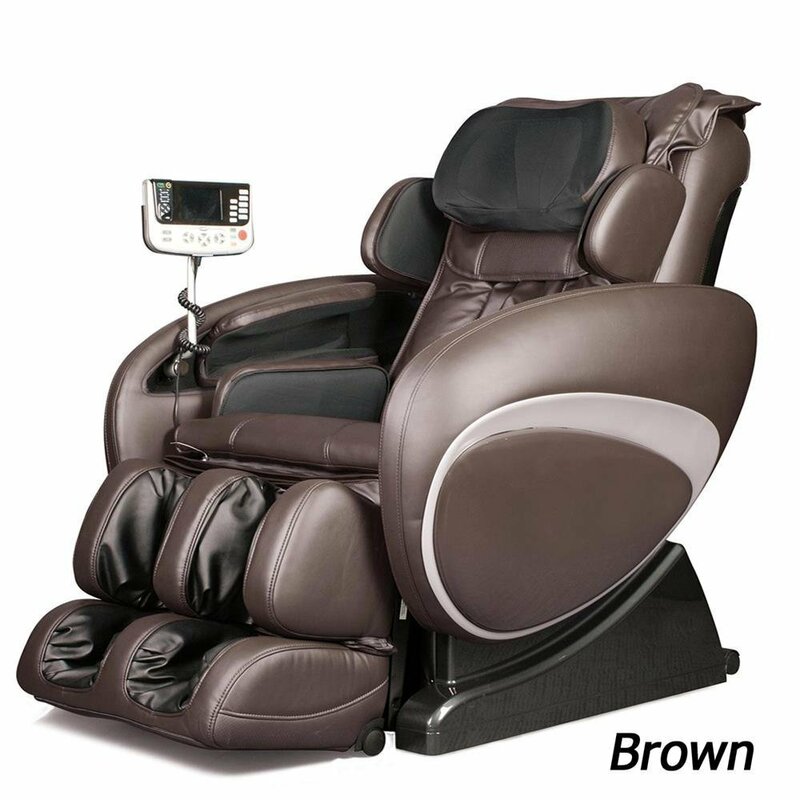 For the amount of $2,895 this massage chair has all that is required and even more with the exclusive offers on warranty and repairs of all the part of the product. For a refurbished massage chair, this one tends to be the trustable one and almost new. Refurbishes is a word many people are afraid of. But, to be honest, it is one of the few cons of this product. The new Osaki-4000 has a very high market value while the refurbished one is mostly avoided. But, the manufacturers are trying their best to give you the product as new as possible. Although, there are doubts in a person’s mind related to a product which is refurbished, they should know that when the manufacturing company itself refurbishes it makes sure that every part of the product is in working condition and that there is no problem in the product. It has only 1 review on amazon.com but that too positive one. On the new Osaki-4000 there are a lot more reviews because of more sales. The chair lacks in one thing that is full length stretch recliners. It does not recline completely, but as said by the product owners, the stretch provided was enough for them anyway. The manufacturers of Osaki are trying their best to make the refurbished products sell evenly in the market. The best one in the market in the refurbished category is Osaki-4000 which has almost everything you need in a massage chair. The up gradation in the Osaki-3000 made OS-4000 come to life and it is just right without any defects. There might be minor scratches and scuffs on the leather work and the upholstery which are mostly ignorable. But, the company has made it sure that if anything is found to be more than minor to the user, the company will replace it or refund accordingly without any charges.So, if someone asks me which one I would prefer, I would surely go the refurbished one as it has been taken care of twice by the manufacturers too.